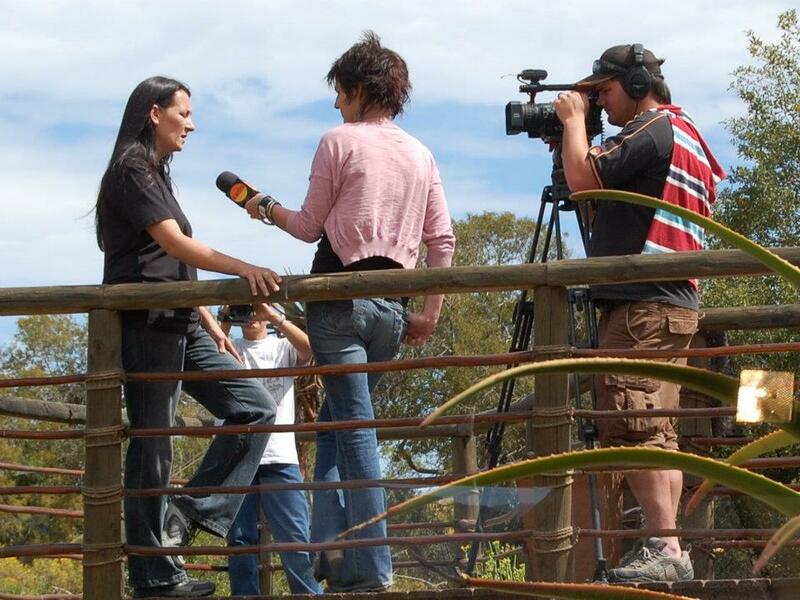 21 October 2011: KWELA TV Recording and concert with Michael Lindt - Buffelsdrift Game Lodge. 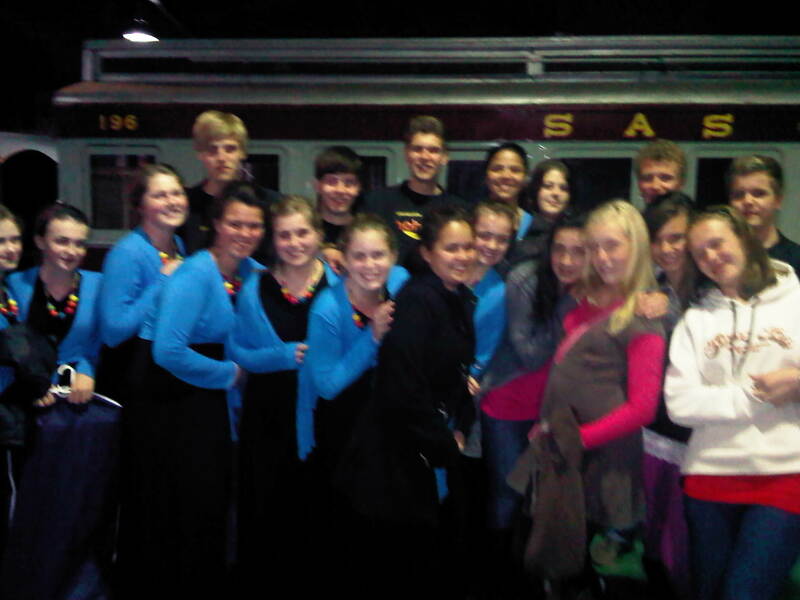 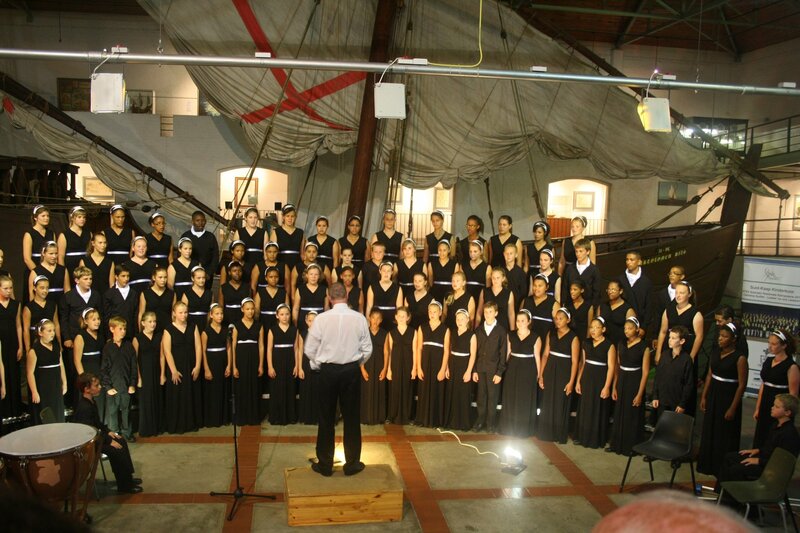 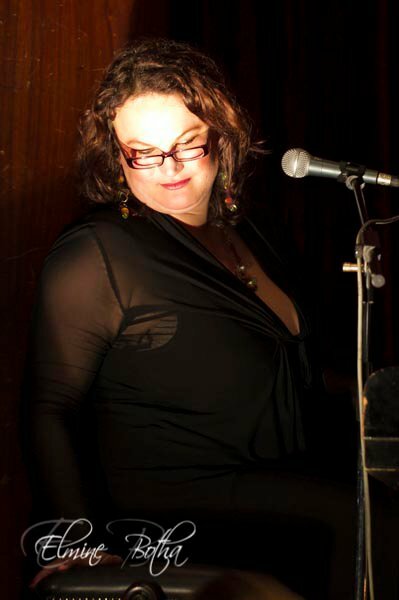 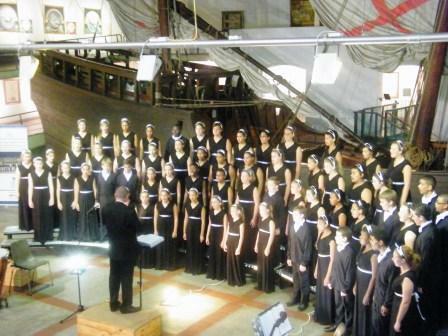 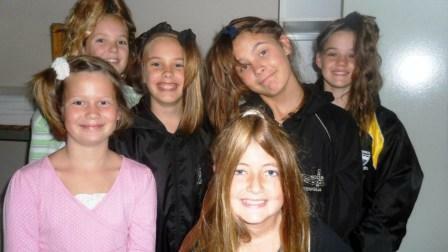 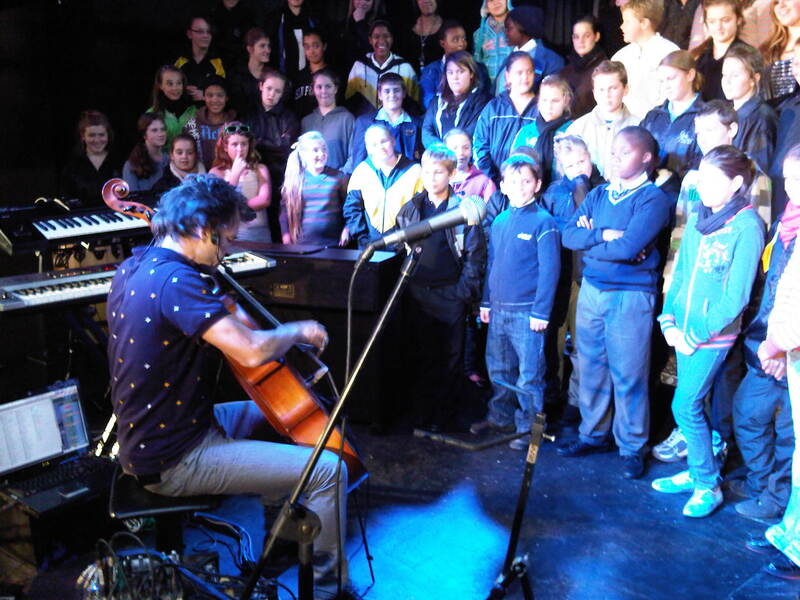 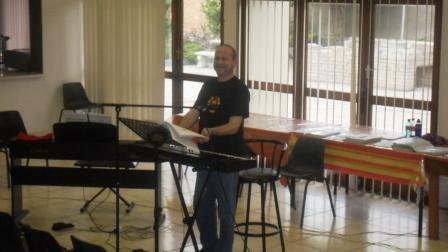 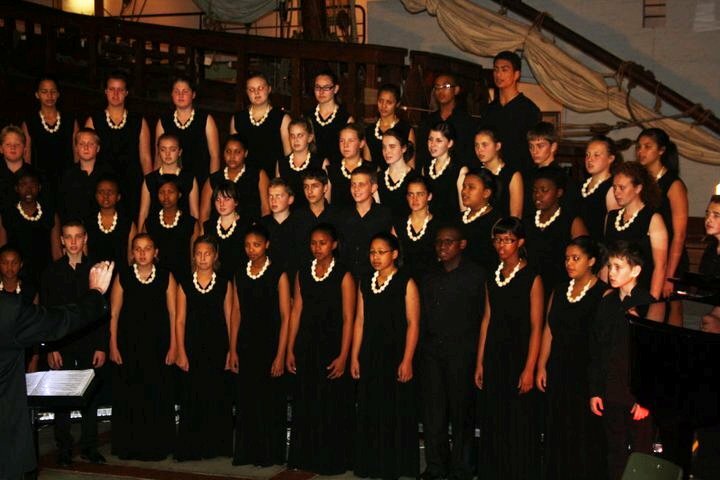 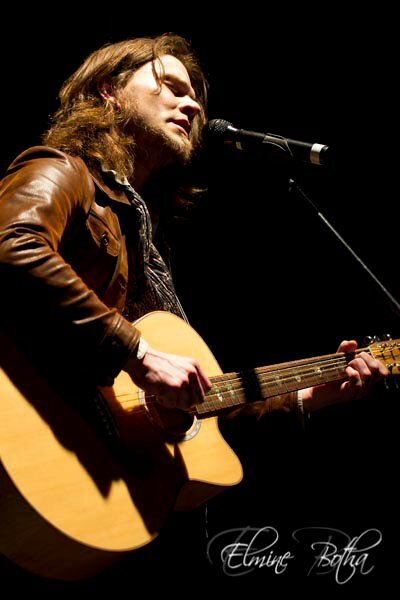 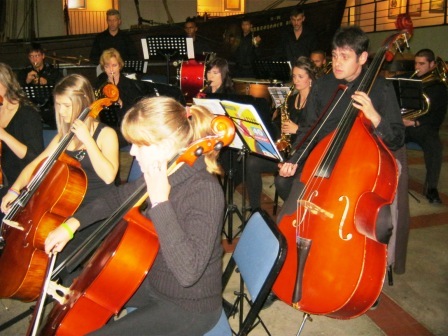 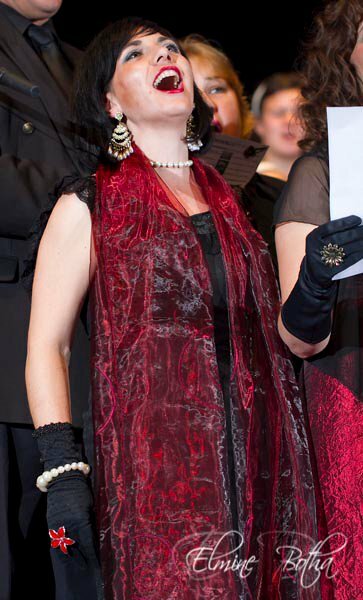 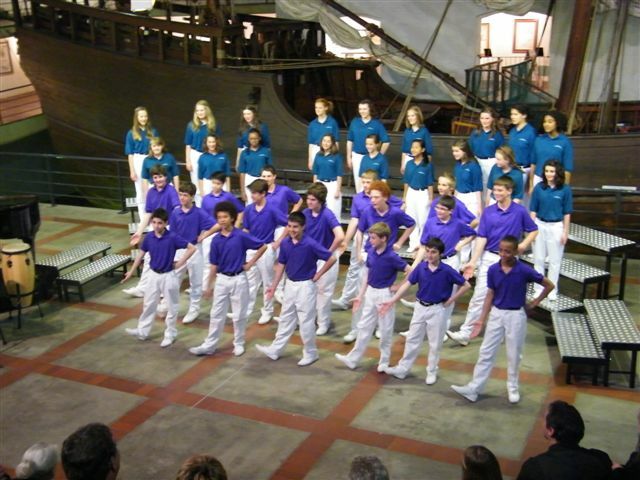 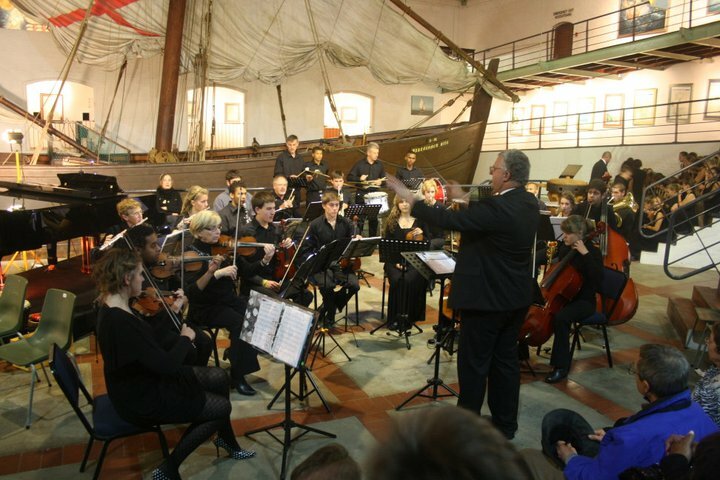 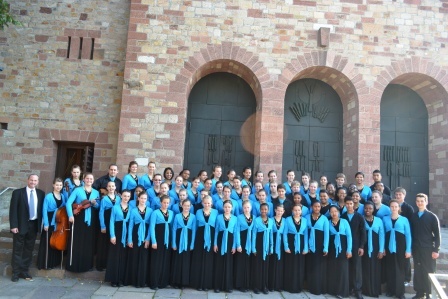 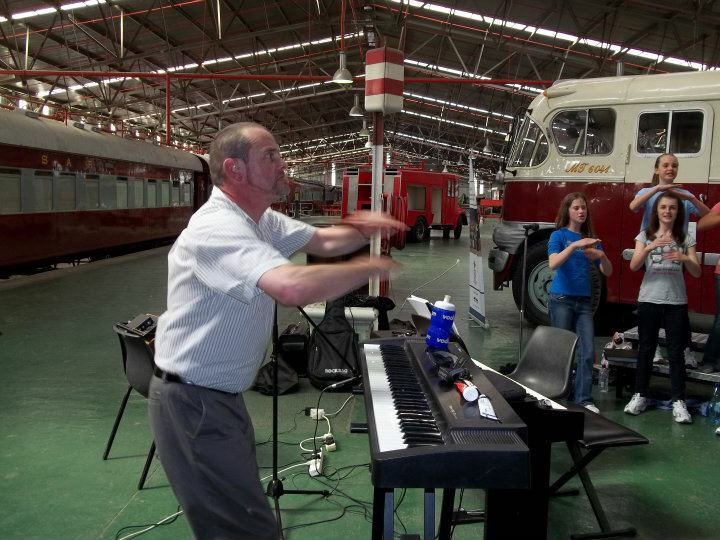 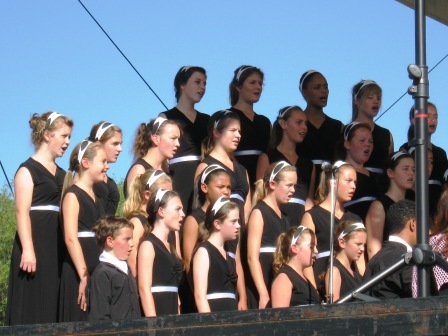 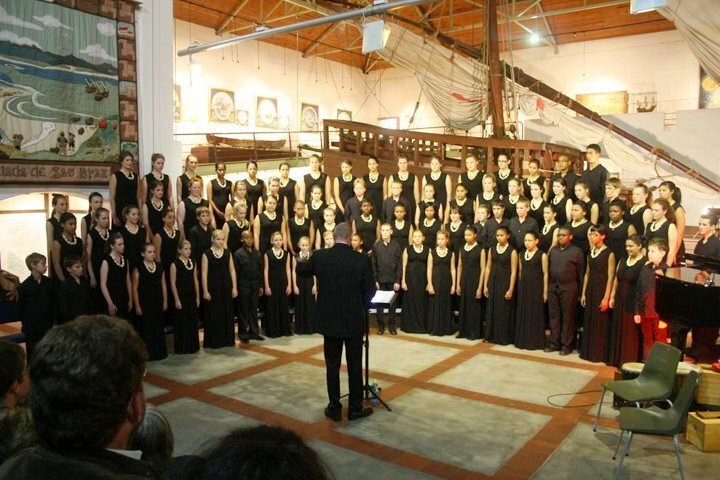 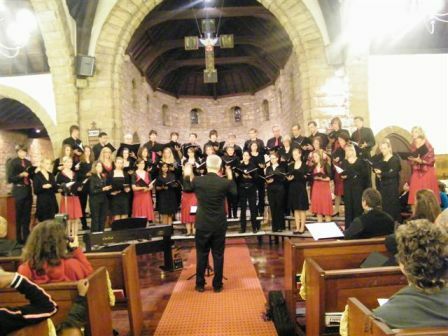 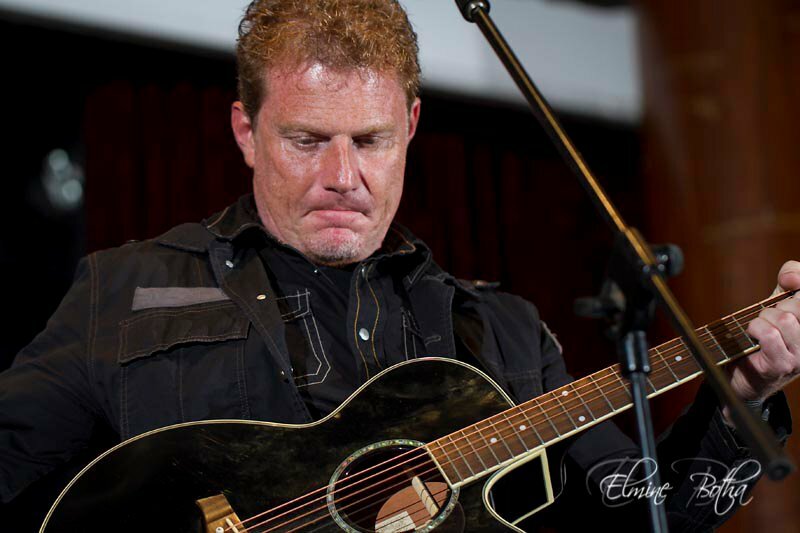 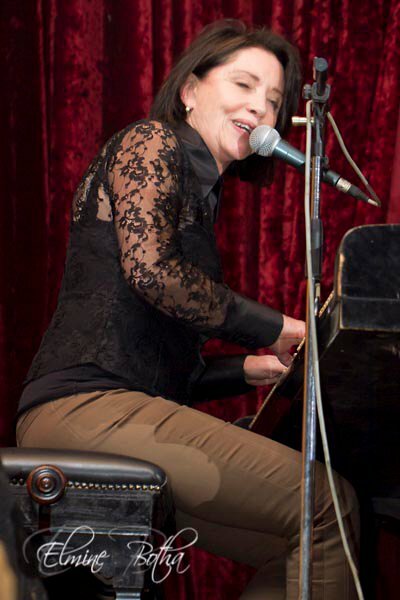 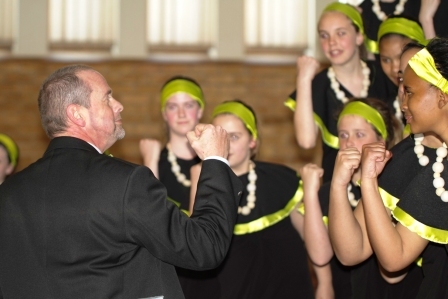 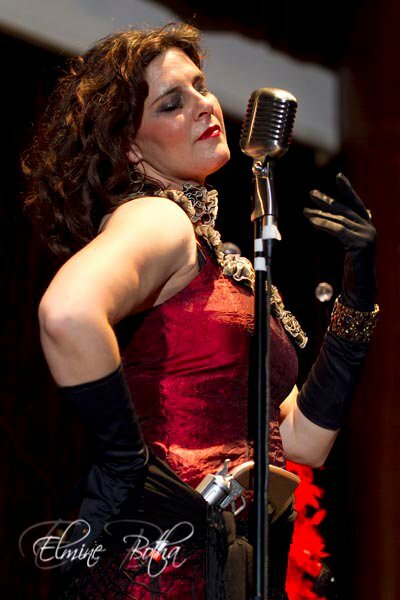 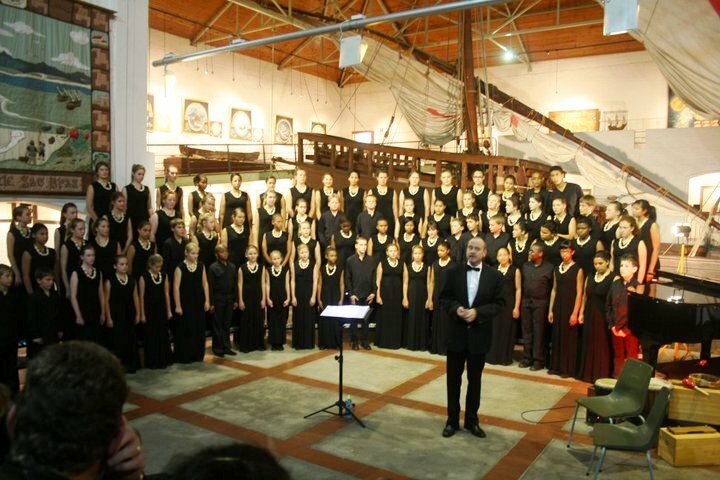 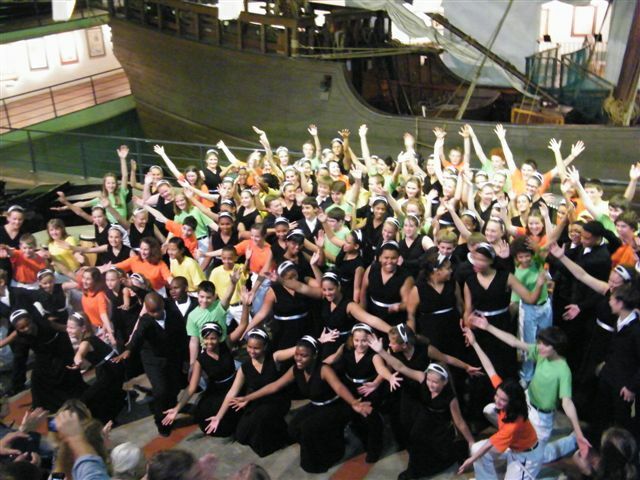 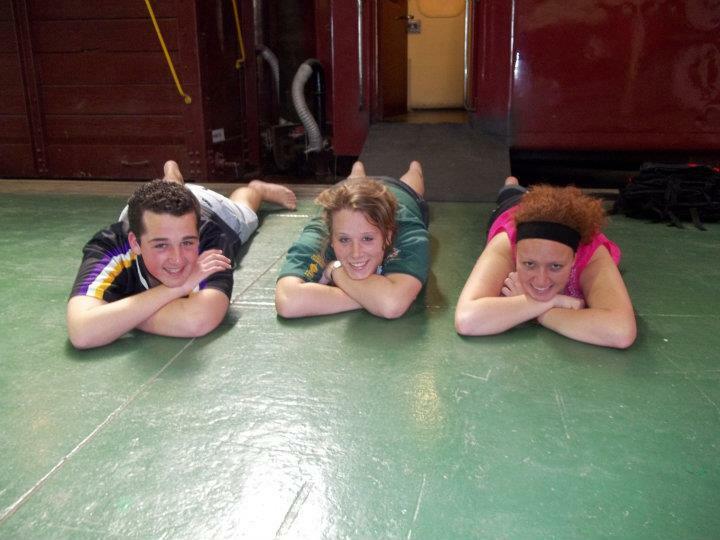 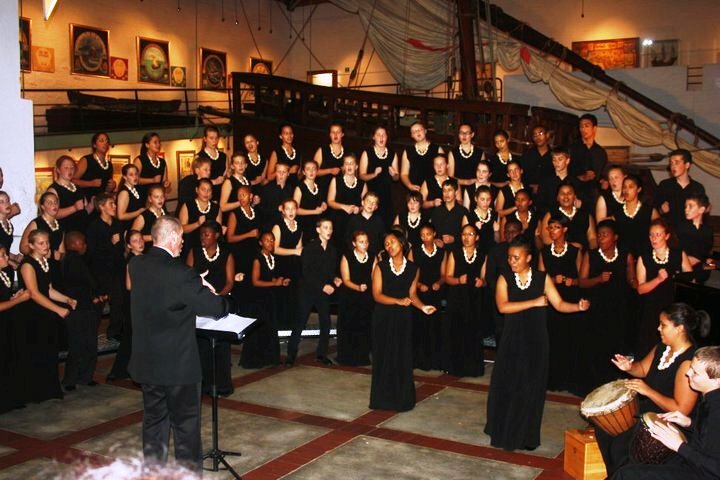 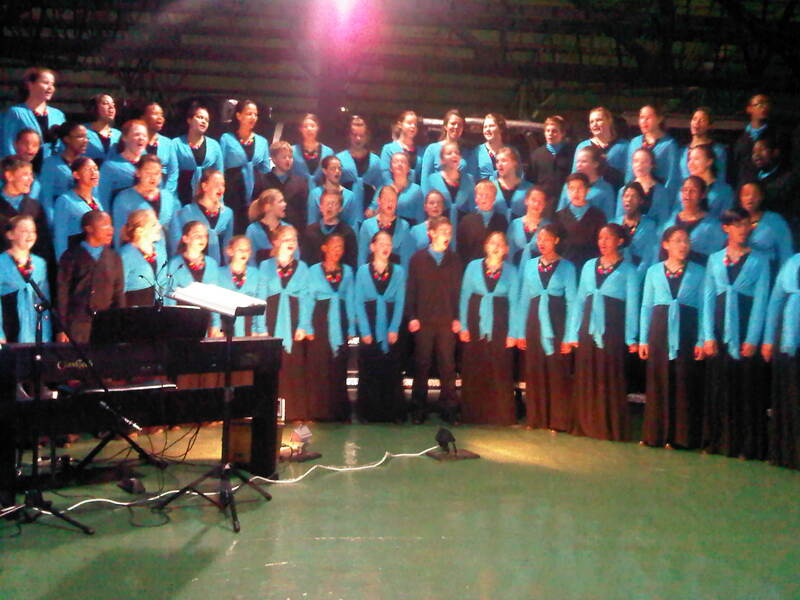 11 August 2011: HOHES-C in Concert with SCCC - Outeniqua Transport Museum, George. 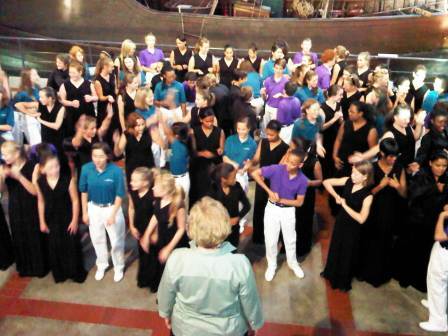 A cultural-exchange moment between members of SCCC and the Colorado Children's Chorale: "Doh-Ray-Me and Shosholoza!" 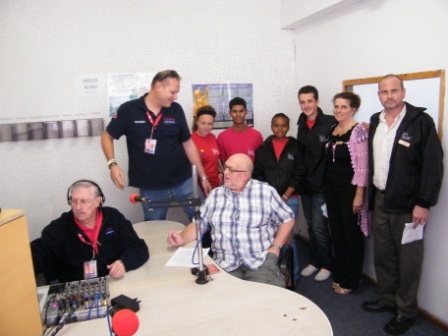 The SCCC interview delegation in the studios of South Cape Stereo. 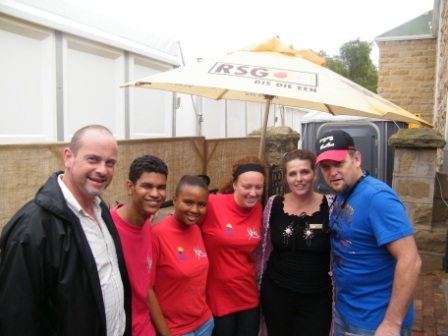 At the RSG visual radio studio with Martelize Brink, Johan Rademan and Jan Greyling. 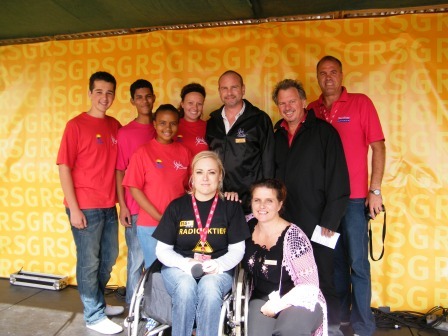 Posing at the RSG stage with well-known artist Steve Hofmeyr. 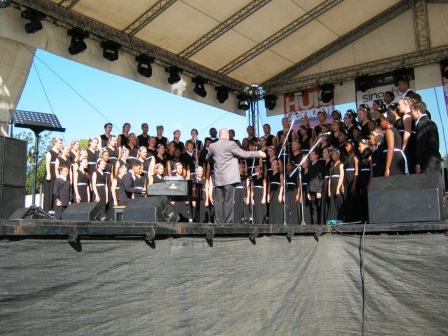 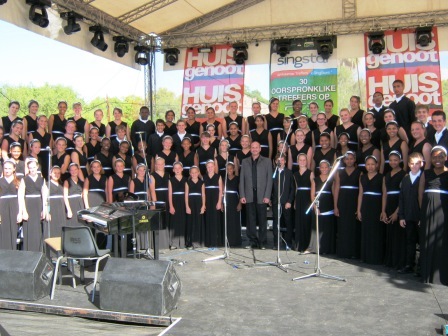 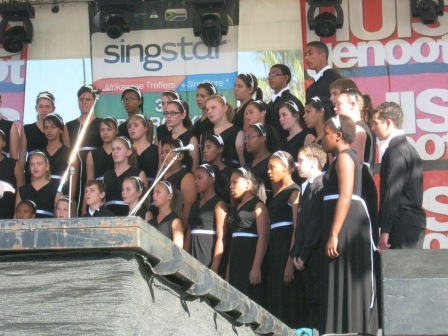 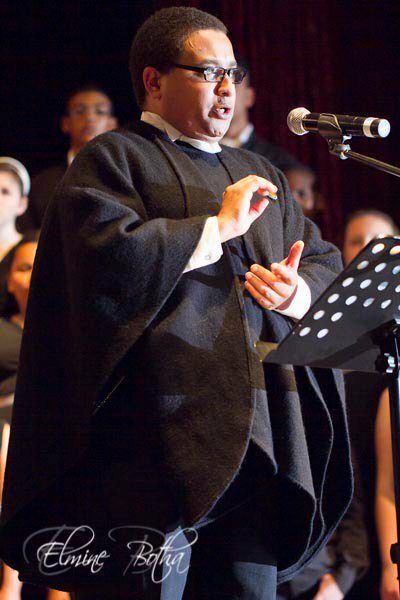 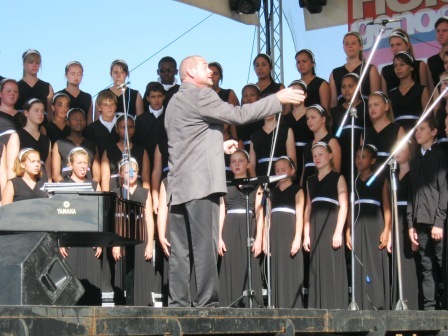 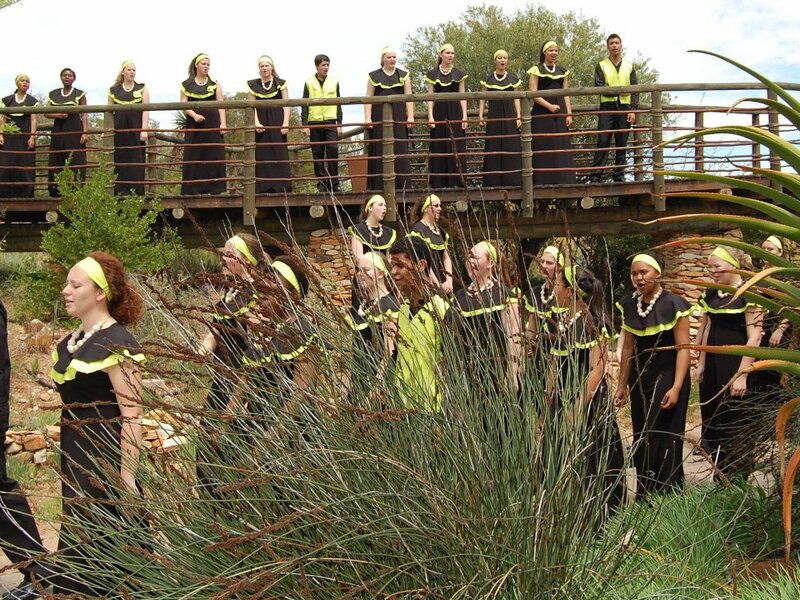 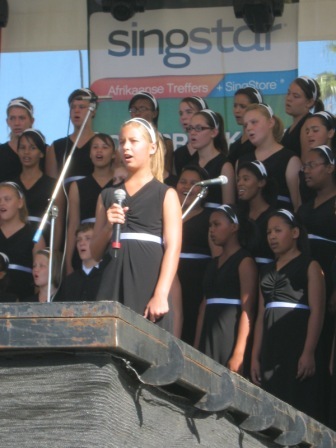 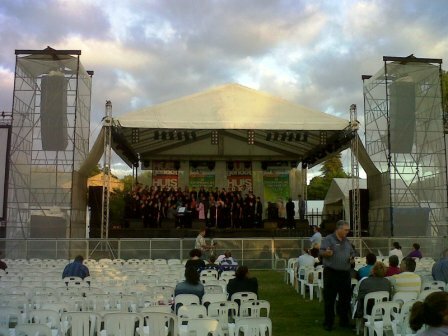 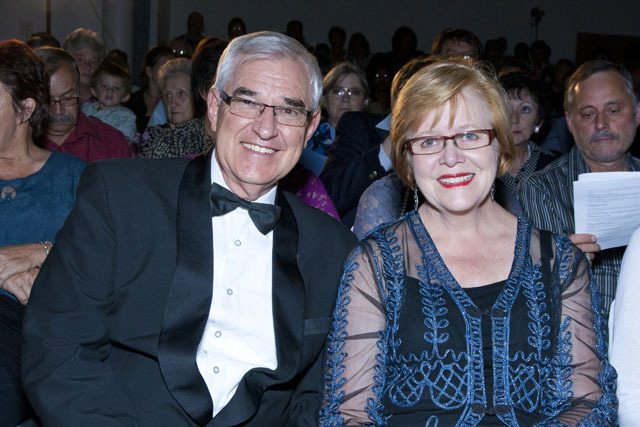 3 April 2011 - SCCC is the guest choir at the opening service of the Klein Karoo National Arts Festival (KKNK) in the Huisgenoot Main Tent! 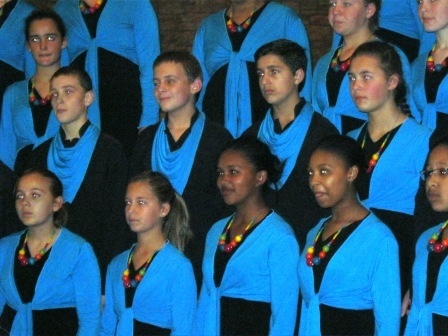 SCCC members waiting to perform. 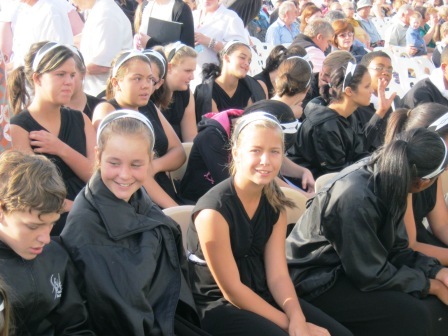 Choir members getting a tan! 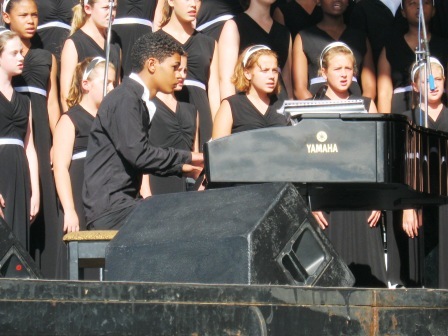 Our young accompanist, Throy Petersen, in action! 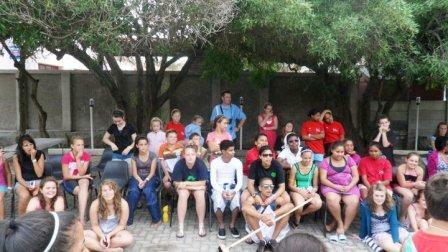 17-20 February 2011: Annual Training Camp and New Member Inauguration Ceremony. 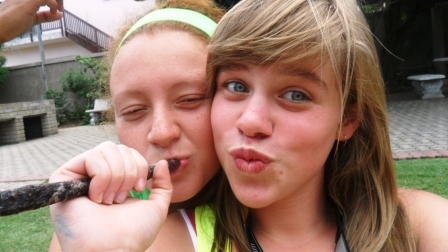 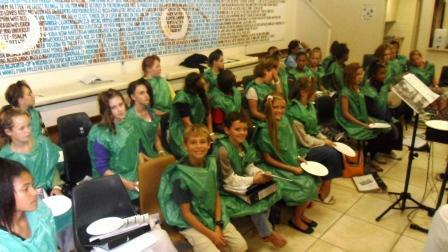 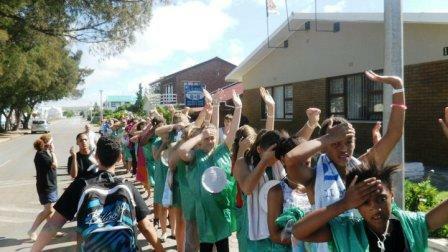 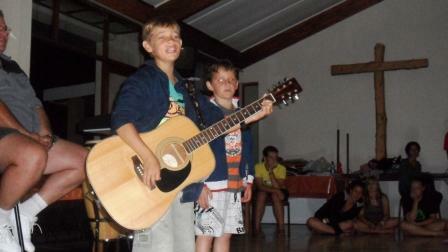 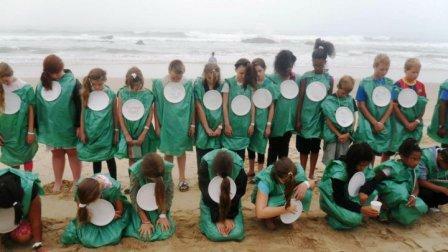 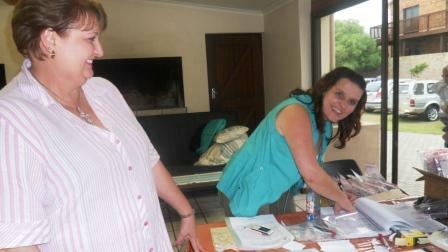 The annual 4-day training camp and new member inauguration was held recently in Hartenbos. 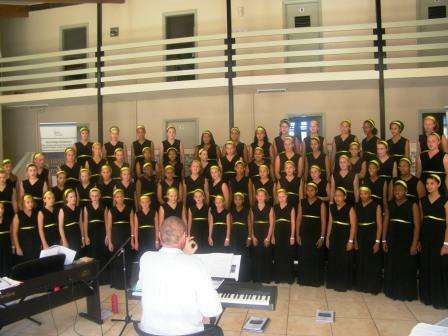 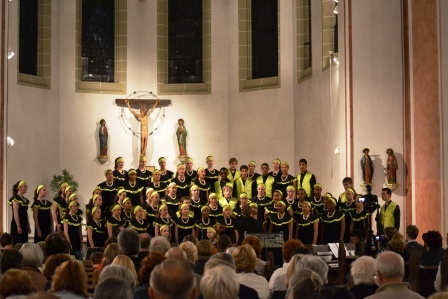 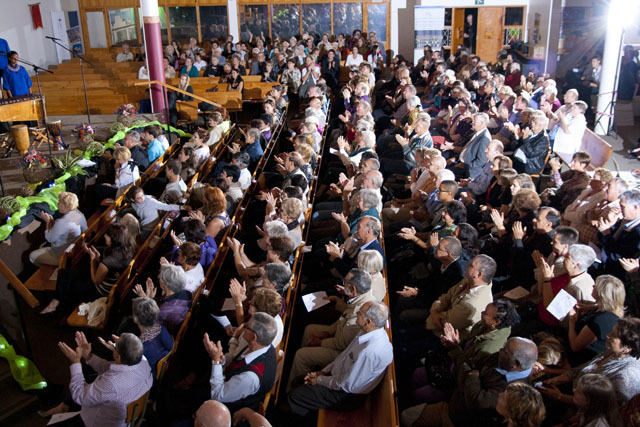 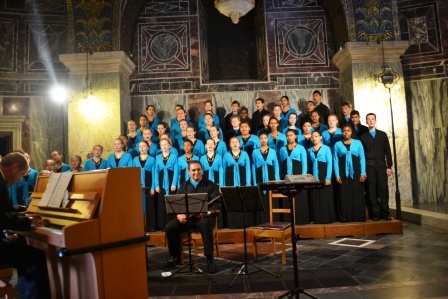 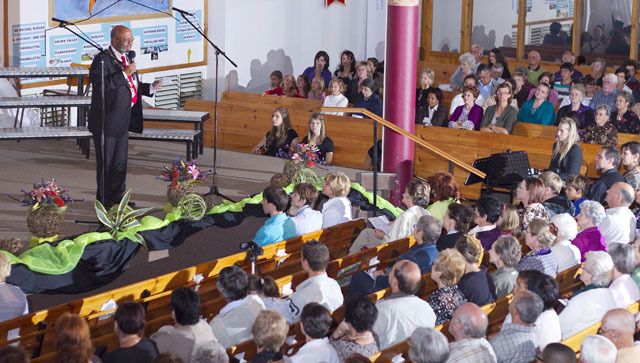 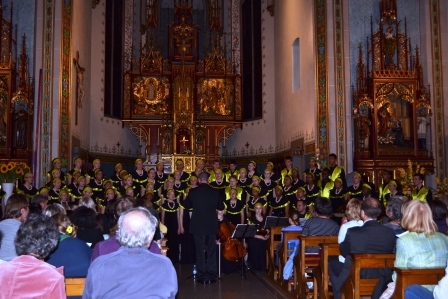 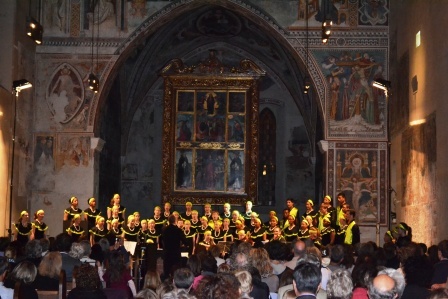 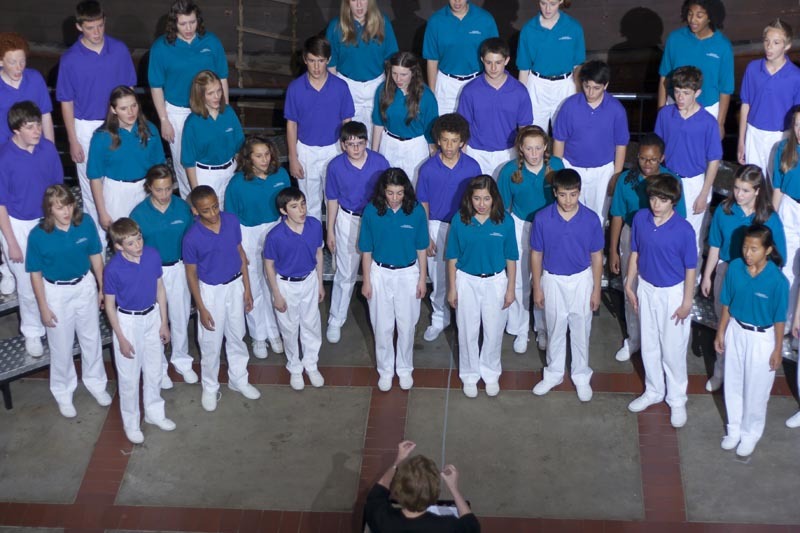 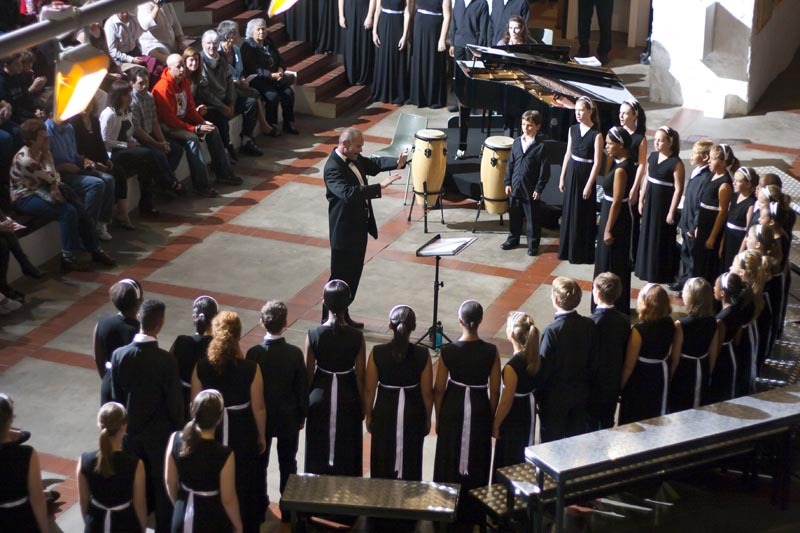 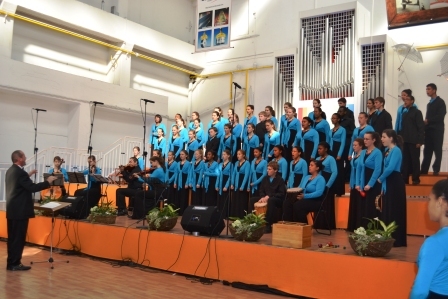 Members worked through fourteen 2-hour sessions of music -learning, polishing and general choral discipline training, in preparation for the ATKV Animato 2011 competition and Eurotour 2011. 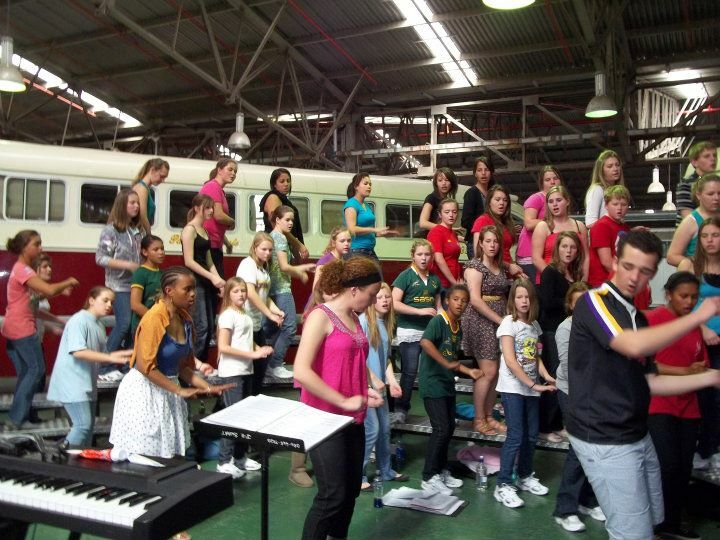 10-13 January 2011: First 4-Day Training Workshop. 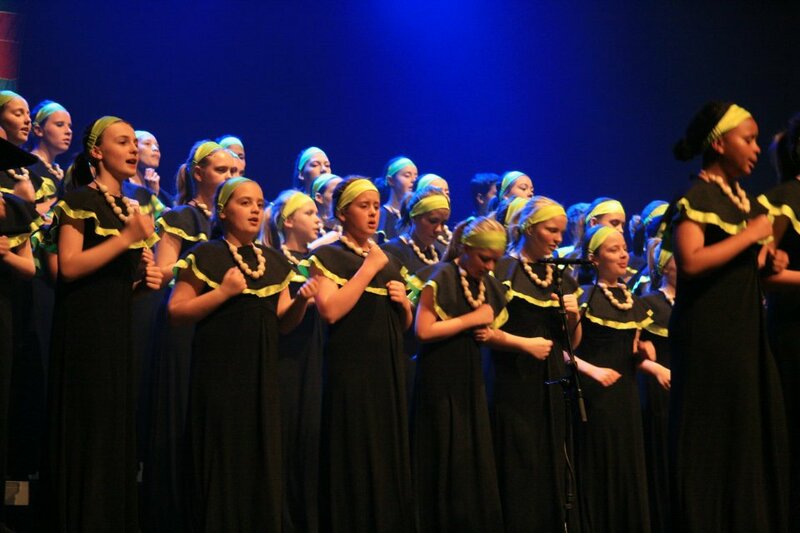 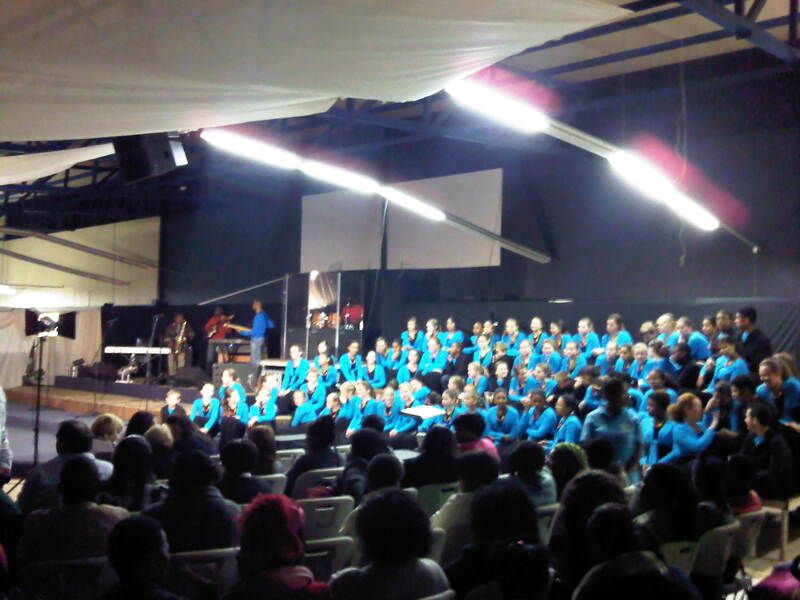 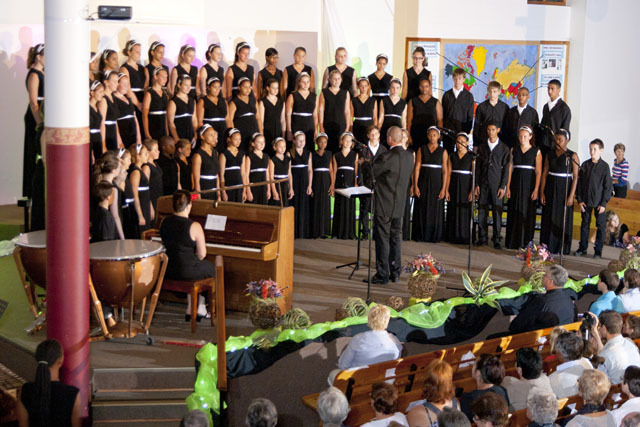 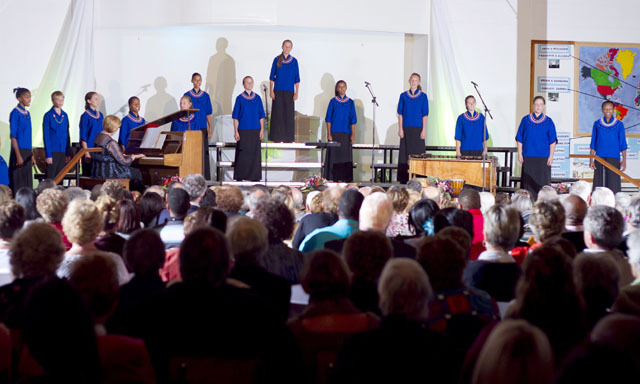 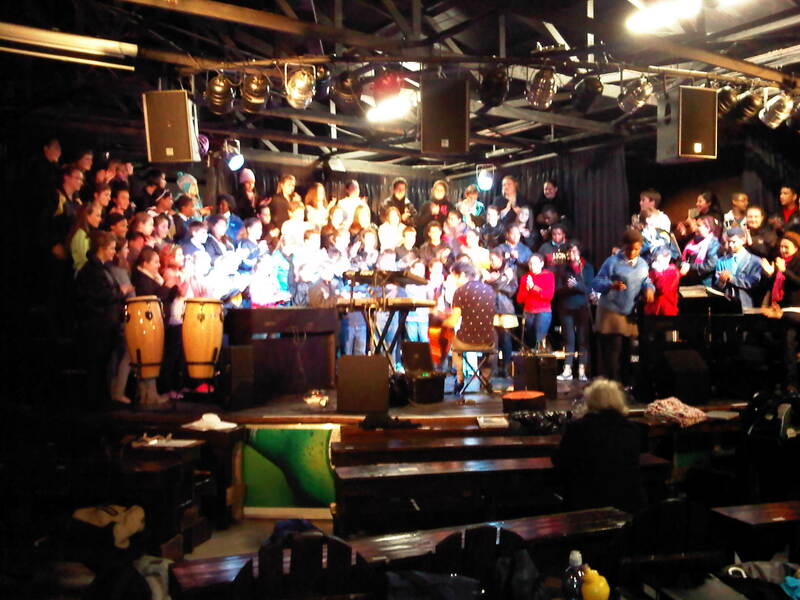 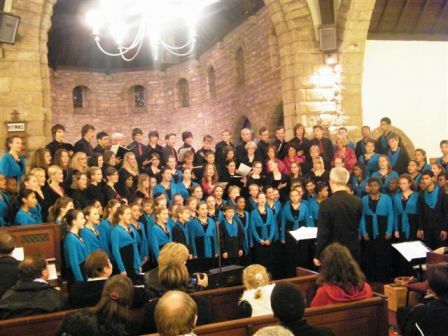 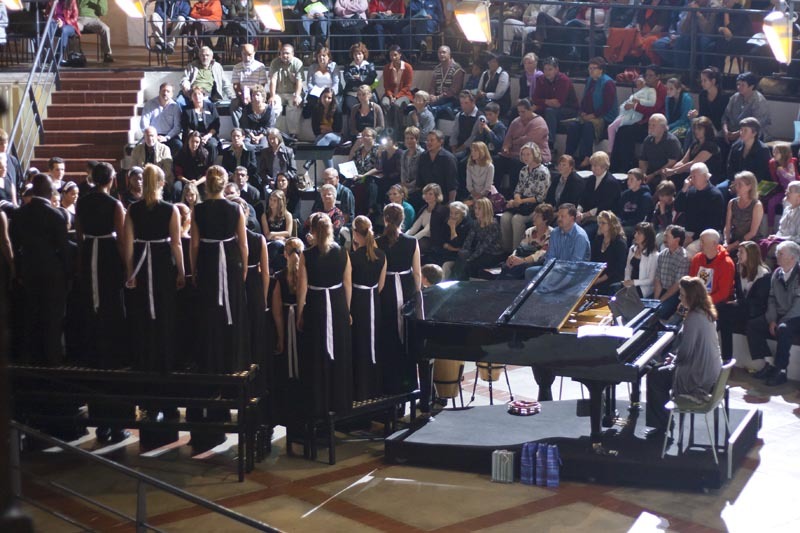 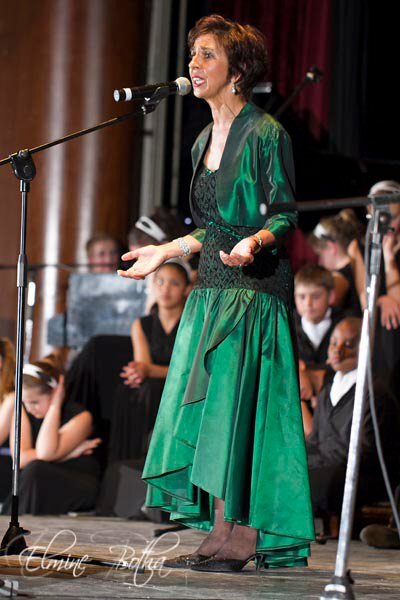 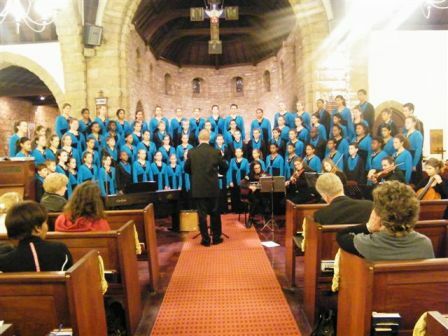 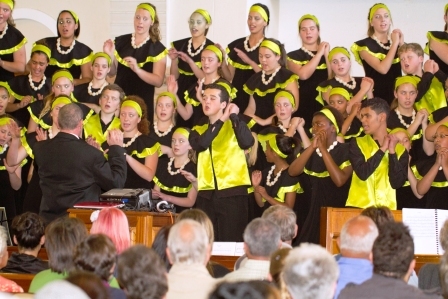 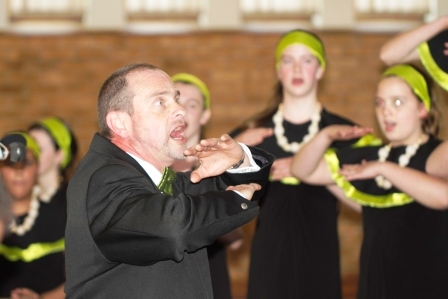 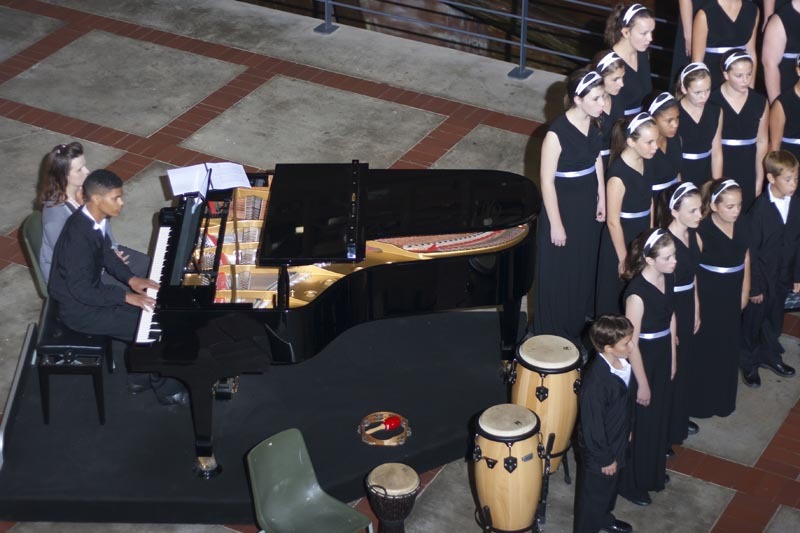 One hundred and four members of the SCCC gathered during the last week of the school holidays at Outeniqua High School in George, to prepare themselves for a hectic 2011 concert programme! 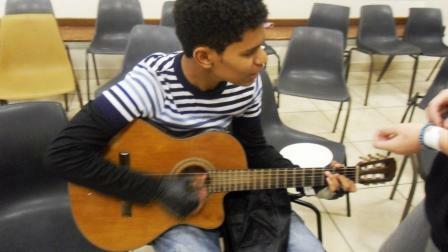 Daily rehearsals were from 09.00 to 17.00 and 22 pieces were learnt, of which 12 were totally new. 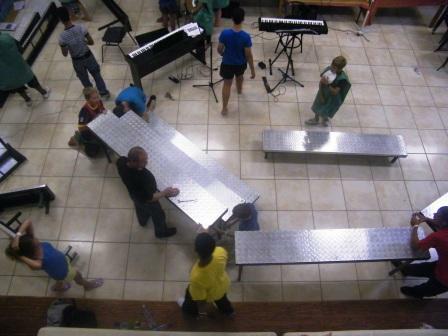 Another 5 brand new pieces are under construction. 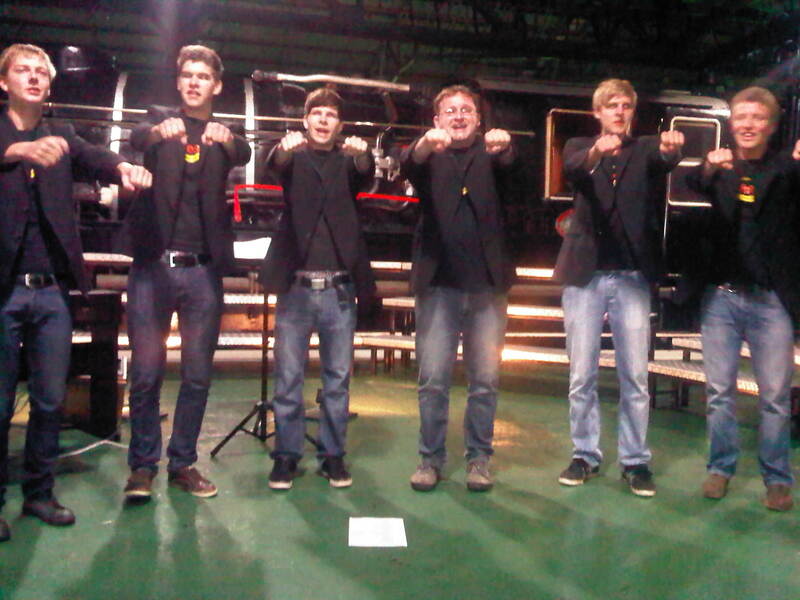 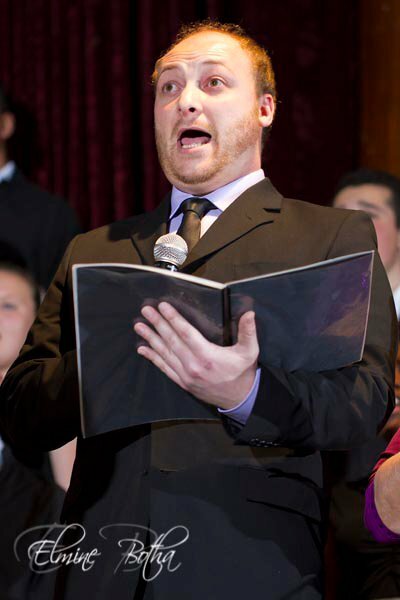 The training focused on vocal development, use of head-sound, articulation, and 8-part harmonizing. 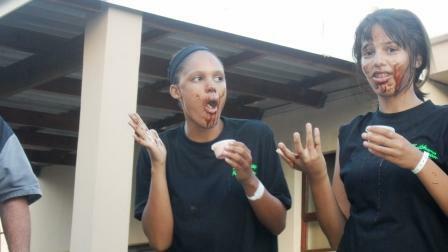 Needless to say, the results were phenomenal!